Draycast offers a market leading sub contract aluminium & bronze casting service to engineering companies worldwide. We are totally independent family owned, run and managed business. 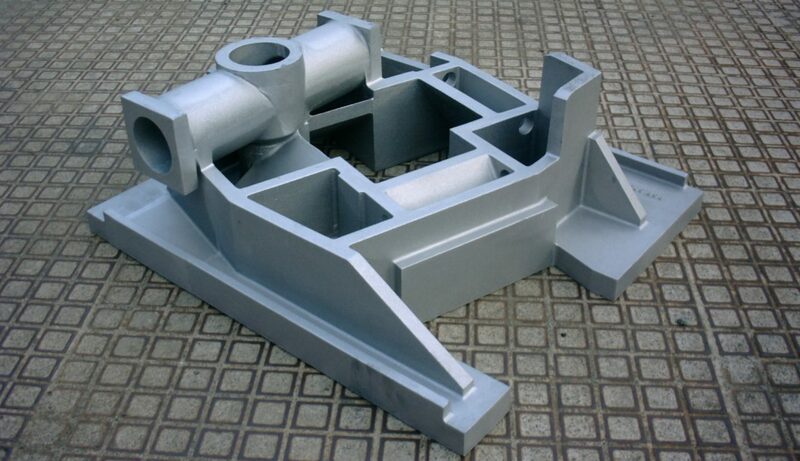 Our focus is on high quality non-ferrous sand & die castings delivered with first class service levels. We supply into a broad range of engineering and commercial applications. We have particular specialist expertise in demanding areas such as precision sand castings and pressure tight castings for the fluid handling industry. The company was founded in 1964 originally as a two man business. In the ensuing years the business has grown into one of the most respected aluminium and bronze foundries in Europe. The foundry is based in Chesham, Buckinghamshire where we occupy a purpose built facility of approximately 2500 sq m. Ongoing significant investment has been made in state-of-the-art machinery to enable the factory to operate both efficiently and flexibly. Our highly trained staff are familiar with the most demanding applications. We employ techniques which are well proven with a focus on quality and consistency. Experienced supervisors oversee all aspects of production. We believe we have created a unique ‘quality culture’ within the foundry which is backed by a fully documented quality system which is ISO 9001:2008 accredited. We also hold works certification from Lloyds Register and Bureau Veritas. The shop floor is supported by a diligent admin team who keep precise control over all aspects of production and despatch. They also pay a key role in maintaining our high and well respected levels of customer care. All of our production and accounting systems are managed using a highly integrated computer system. Computer facilities are also in place to communicate via the Internet and to process technical information in CAD format.